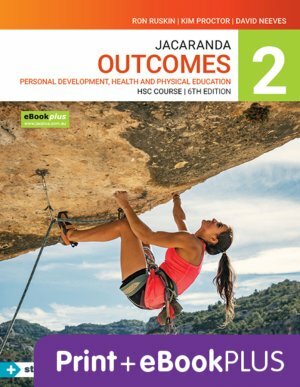 This print and digital title provides rigorous adherence to the PDHPE Stage 6 Syllabus. Written by an experienced author team led by Ron Ruskin, the latest edition includes information on current trends and health promotion campaigns, alongside up-to-date data and statistics. A new refreshed design makes the content easy to follow and engaging, with updated figures and artwork. Chapter 1: How are priority issues for Australia's health identified? Chapter 2: What are the priority issues for improving Australia's health? Chapter 5: How does training affect performance?